“Set in a 5th century post-Roman Britain besieged by invading war bands of Saxons and Franks, Irish and Picts, Giles Kristian’s epic new novel tells – through the warrior’s own words – the story of Lancelot, the most celebrated of all King Arthur’s knights. And it’s a story that’s ready to be re-imagined for our times. It’s a story imbued with the magic and superstition that was such an integral part of the enchanted landscape of Britain during this dark times. 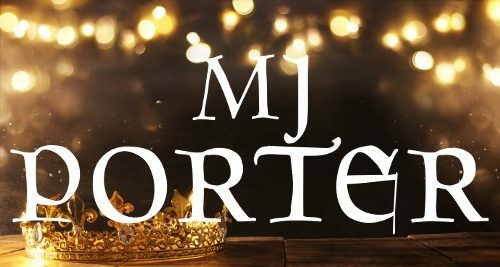 Many of the familiar names from Arthurian mythology will be here – Mordred and Gawain, Morgana and, of course, Merlin – as will be those vital icons of the legend such as the Round Table and the sword in the stone but these will be reinvented, reforged for a new generation of readers. Lancelot is a brilliant book. I really can’t recommend it enough – but at its heart, it is also flawed. The more I think about this, the more I imagine this might have been done on purpose – a mirror image of the character, perhaps. When I first began reading Lancelot I simply thought the author had been very clever with his book title. (Go check my Goodreads log for the book – I say it there). The story, while it might have been about Lancelot, could just as easily have been about just about any character in post-Roman/pre-Saxon/settlement period Britain (everyone has their own word for this period). It was not necessarily a Lancelot that anyone would recognise. For all that, the young Lancelot is an intriguing character, and even if the book had just been an author with a clever title, I would probably have been just as impressed as I ultimately was. The world Lancelot inhabits is a wonderful reimagining of Britain at this strange time period – with the Romans fled, and the Saxons on the surge. It is stuffed with warlords and kings, with kingdom names and conjures up a wonderful landscape of the time period. While all the action takes place in those areas which would be termed, British or Pictish, the very ‘smell’ of the Saxons is always blowing on the wind., for all that it is modern-day Cornwall, Devon, Wales and Scotland that form the backdrop for the story and there are only very occasional Saxon characters. We meet Lancelot in the first chapter, Guinevere takes longer to appear, and Arthur? Well, his father makes an appearance before him – and Arthur only arrives 50% through the book. And this is as it should be – after all, this is Lancelot’s story and not that of Arthur’s. We do meet Merlin not long after Guinevere – so the ‘names’ we know from the Arthur Legend are firmly there – Tintagel is often mentioned, as too is Excalibur. As in any novel about a famous warrior, there is a great deal of training, fighting and ‘rough-stuff’ from the other boys being trained, but mixed with the twin thread of friendship and magic. The magic is artfully arranged – it is just ‘accepted’ without explanation, and that appealed to my less than ‘magical’ mind. Other authors may have ‘overcooked’ the whole Merlin/Druid/Old Gods stuff but I think it is handled exceedingly well throughout the story. The ‘friendship’ element is also very skillfully told – it becomes more and more important as the book progresses. Lancelot has a lovingly crafted feel to it. It meanders down little-trodden paths, and we might be left wondering why, but just as Robin Hobb manages with her ‘Fitz’ books, it never feels irrelevant. It’s a delightful tale of occasional irrelevance, that I just didn’t want to end, and I never say that about a book. There were times when I couldn’t fathom what the author would do with his characters next and there were parts where I felt cheated. At 80% through I was completely perplexed, and actually, the ending of the book is either its weakest element or the author at his cleverest (I still can’t decide). it is here that he relies most on the readers ‘prior’ knowledge of the Arthur legend – and we are left to make our own assumptions until the very final scene, when there is, once more, some closure. Lancelot is released on 31st May 2018 and is well, well worth a read.